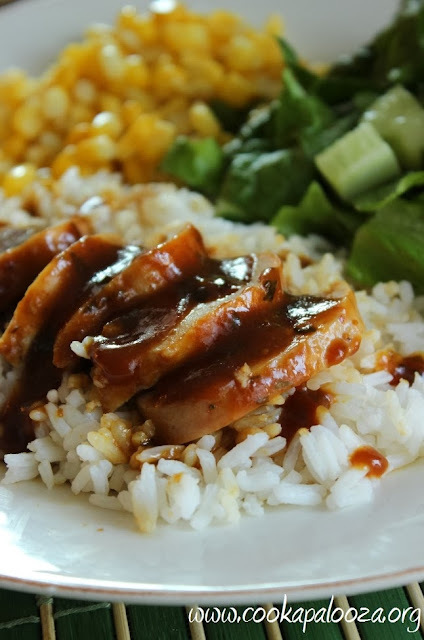 Saucy oven baked chicken recipes are great for weeknight cooking. Take 10 minutes to mix the sauce the evening before, put it in the oven when you get home from work and let it cook while you wind down from the day. It's that simple. 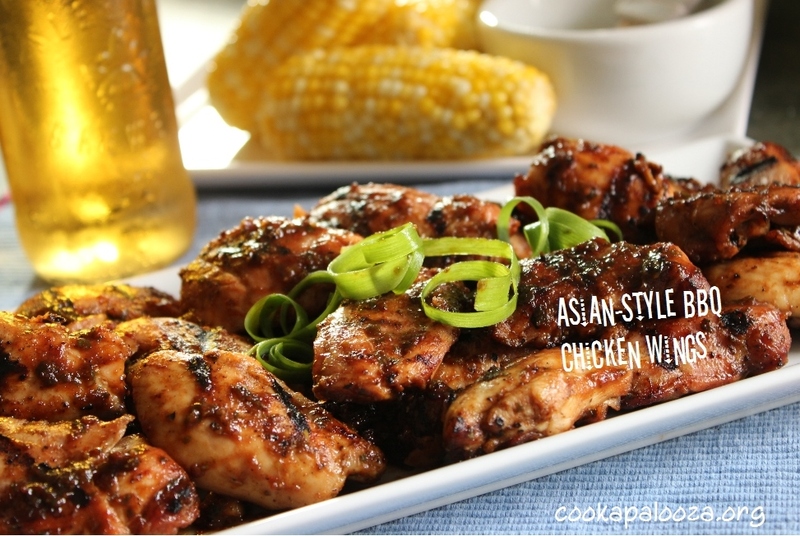 A baked chicken recipe I often make is the Begging for More Barbecue Chicken from The Cook-a-Palooza Experience Cookbook. In fact I've made it so many times I can rhyme off the ingredient list as easily as the lyrics to my favorite songs. 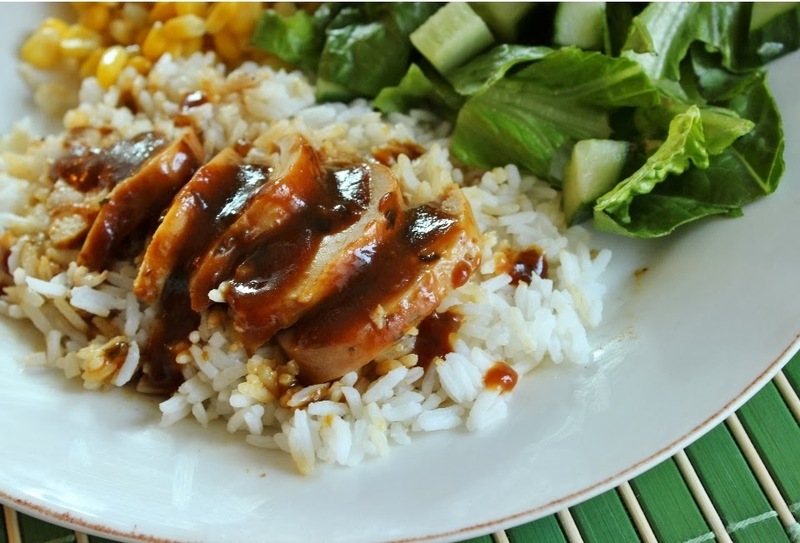 This Oven Baked Chicken with Ginger Plum Sauce is similar in how it's prepared. 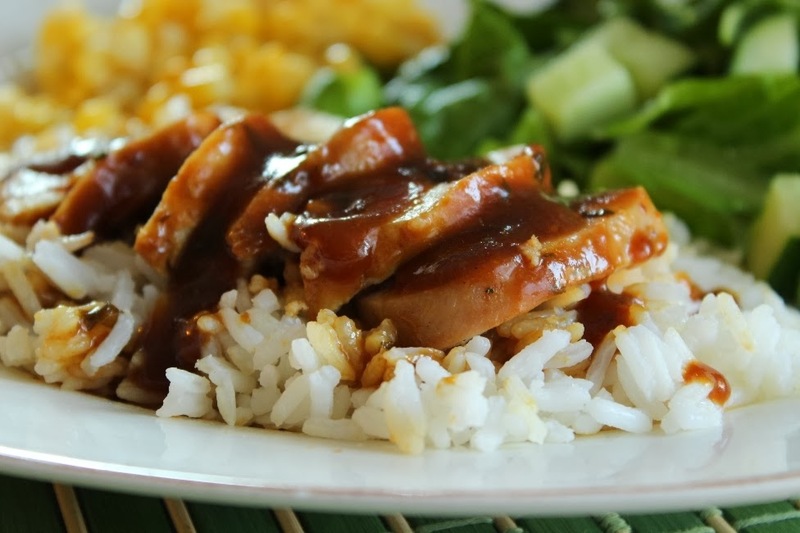 The difference is this sauce is made with a flavorful combination of Asian inspired ingredients! The plum sauce makes it sweet, the ginger and seasoned rice vinegar add some kick and you can just taste the curry and cilantro in the background. What I like best is when the sauce runs down the sides of the chicken and is absorbed by the bed of rice it's served on! So good! Let me (and your friends) know by using the social media buttons below! Cheers! In an 8 x 8 baking dish mix together plum sauce, ketchup, vinegar, soy sauce, ginger, curry powder and cilantro. Place chicken in dish and coat with sauce. Bake, uncovered, in a 375 F oven until chicken is cooked through, about 30 to 35 minutes. Remove from oven. Pour the sauce from the baking dish into a small saucepan. Bring to a boil over medium high heat and cook until sauce begins to thicken, about 5 minutes. Serve chicken over a bed of cooked rice and spoon sauce over top.